With multiple IRAs, some additional planning can help maximize the values. 1. When Am I Required to Start Taking Distributions From My IRA? 2. Does an IRA Still Grow Even After You Turn 70? Once you hit the no-penalty age of 59 1/2 for individual retirement accounts, you can handle your accounts as you wish concerning withdrawals -- which will be taxed. 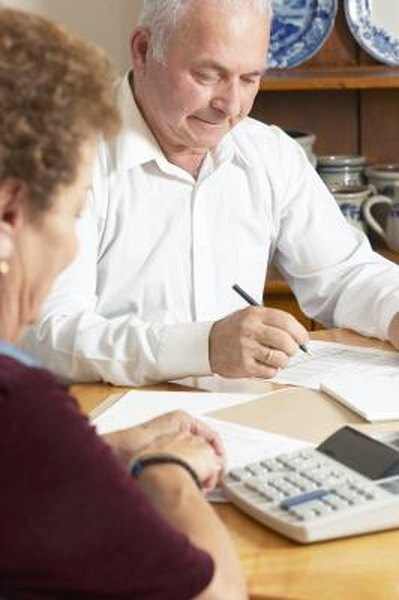 When you reach age 70 1/2, the rules change and you must withdraw at least a minimum amount from your IRAs each year. The tax rules do give flexibility on how you decide to make those withdrawals. An IRA, as the name implies, is a tax-advantaged account for retirement savings. Once you are in retirement, you can choose to use your IRA to supplement your other income sources or let the balances continue to grow tax-deferred. With multiple IRA accounts, you can choose to withdraw from one or more and let the others continue to grow. The amounts of withdrawals you elect to take will depend on your income needs and the tax consequences of the extra taxable income of a withdrawal. IRAs were not established to allow someone to let money grow tax-deferred forever. When you reach age 70 1/2, you must start taking IRA withdrawals even if you have not taken any up until that point. From age 70 1/2 you must take money out of your IRAs each year. The withdrawals will be included in your taxable income for the year. The required minimum distribution -- RMD -- withdrawal amount is based on your life expectancy, so will increase each year as you get older and your life expectancy -- at least by government accounting -- gets shorter. To calculate a required minimum distribution, add up the value of all your IRAs on December 31 of last year. Then divide the total by your life expectancy from the table published in the back of IRS Publication 590. The result is the amount of money you must withdraw from your IRAs by the end of the current year. You have until April 1 of the following year for the first minimum distribution for the year you turn 70 1/2. You can take the calculated RMD amount from any of your IRA accounts. You could choose to take the entire withdrawal from one of the accounts and let the rest continue to grow. Repeat each year. With multiple IRAs and the flexibility to take distributions from any account, you should keep accurate records concerning your annual withdrawals. Keep track of your IRA values, the total value calculations and from which accounts you made the withdrawals. The penalties are severe if you do not take the minimum required amount from your IRAs once you reach 70 1/2. Your records will show when and where you made the RMD for each year. What Can You Do With an IRA After Retirement? How Much Annually Can I Take Out of My IRA?